Recently featured on National Geographic Traveller, Telunas Resorts are secluded, beautiful, boutique resorts located near Singapore in the Riau Islands of Indonesia that offer guests a restorative retreat with outstanding hospitality. Telunas’ Resorts are a collection of properties with differing locations and available services. Their original website didn’t provide potential guests with a way to clearly determine where and what they were booking. This poor user experience (UX) led to unrealized sales as frustrated visitors left the site before completing their booking, and worse, customer dissatisfaction when a guest arrived to find they were reserved for a different property than the one they’d anticipated. Telunas Resorts needed to build trust with potential customers and bring transparent clarity to their offerings and booking process. The need was particularly urgent given Telunas’ vision to grow and provide guests with even more properties and experiences to choose from. Telunas Resorts website is a key component to generating revenue for the Resort and so they were prepared to invest in a complete overhaul of their site to accomplish their sales goals, but in the process, wanted to preserve their established SEO rankings. Our client was savvy about the vital impact SEO would have on their revenue goals. As they themselves said “A pretty website won’t do anything for us if it isn’t maximized for SEO.” And so they sought a digital agency with equal strengths in both design and comprehensive SEO integration. Telunas chose to partner with Seadev because they felt it was clear that in addition to our holistic expertise, we also truly care about our clients and want what is uniquely best for them. 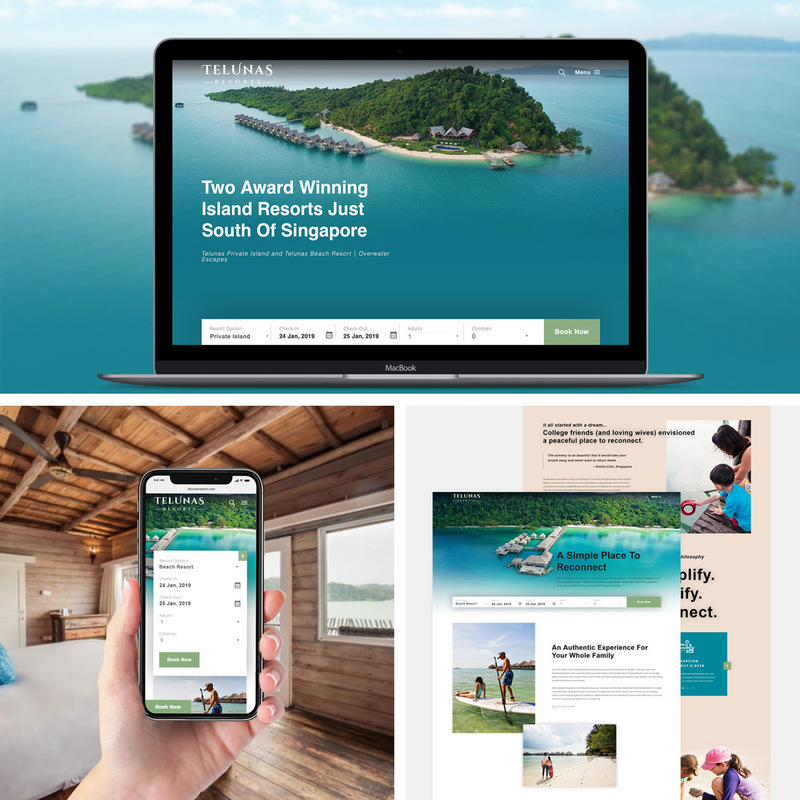 To provide future guests with an online experience that reflects the high standards of Telunas Resorts, Seadev completely redesigned the Telunas website and site structure. In addition, we built an expandable website platform that will allow Telunas to easily add new properties as they grow. In lieu of adding SEO features after the site’s completion, we set up Telunas for maximum digital marketing success through the holistic integration of SEO into their website’s design, all the while preserving their established SEO rankings. Richly detailed images allow visitors to travel virtually to experience the Telunas Resorts destination even before they arrive. With the optimized user experience and user interface designs for both desktop and mobile devices, Telunas’ booking processes are now as crystal clear as the water surrounding their properties! 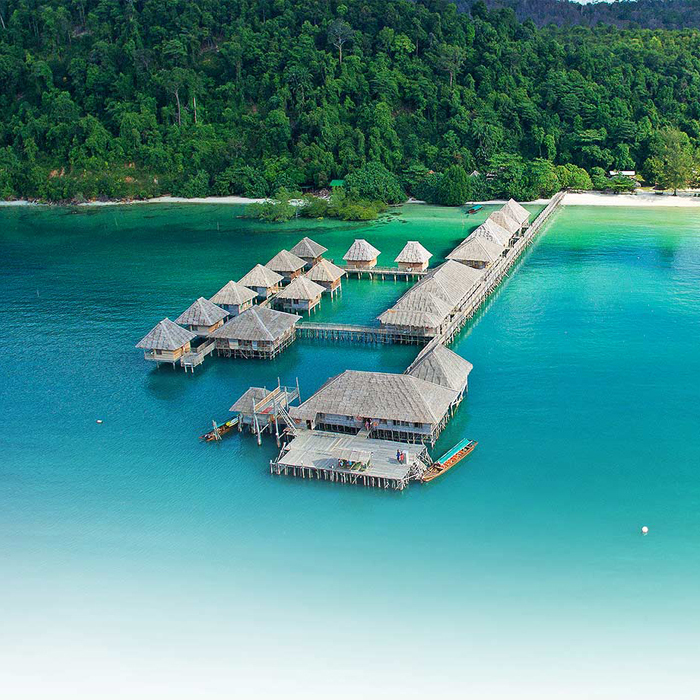 Telunas’ online booking is now as crystal clear as the water surrounding their islands! Telunas Resorts is now primed to attract new visitors to their website, convert more visitors to guests, and convert those guests into brand ambassadors and returning customers.